As the exceptionally dry season due to El Nino continues, along with the resulting heightened risks of fire, we remain very vigilant with our monitoring, suppression and prevention efforts, and are increasingly concerned of the health hazards posed by haze to the public. Data from the Global Forest Watch of the World Resources Institute (WRI) shows that most of the fires are currently happening in Jambi and South Sumatra (Palembang) areas, a part of Sumatra where APRIL does not operate. Nonetheless, we continue to function at a high level of preparedness. The fundamental fact is that we have zero motivation to burn. Fire is a serious threat to our plantations, wood being our primary raw material, and haze is a health peril to our employees, their families and the broader community. Financial impact to the operations is estimated to have now reached $15 million, in addition to the considerable resources we have invested in fire protection, response and prevention. Around 60 percent of the fires we’ve had to respond to and which we’ve reported to the police occurred from July to mid-September. It was also in July that rainfall was recorded at 73 per cent lower than the monthly average, marking the onset of the traditional ‘fire season’ and the extremely dry El Nino conditions. Significantly, 80 per cent of all reported fires have occurred on mineral land with the remaining 20 per cent on peatland areas. While appreciating that it’s the resulting smoke that creates so much harm, illegal fire is responsible for the loss of 2,763 ha of concession forest since January: a relatively small area in the context of 480,000 hectares of plantations and 320,000 hectares of conservation and protection land. It also helps to understand the motives for burning. Our records show that suspected arson is responsible for 44 per cent of all fires recorded, with a further 34 per cent the result of clearing for small-scale agricultural purposes. Sadly, 10 per cent of fires is due to the discard of cigarettes. Importantly, since July, the hectares lost per fire have been significantly reduced from 8 hectares per incident to about 5 hectares. This is due to very active monitoring of hotspots, quick containment of fire incidents, and a result of the work with the local community to suppress fire quickly. We monitor hotspots on a regular basis and cross-reference our data with the WRI’s Global Forest Watch, an independent resource. GFW data points to 48 per cent of fire alerts being seen in unmanaged areas, further noting that those in managed areas could have been carried by wind and topography from outside locations. 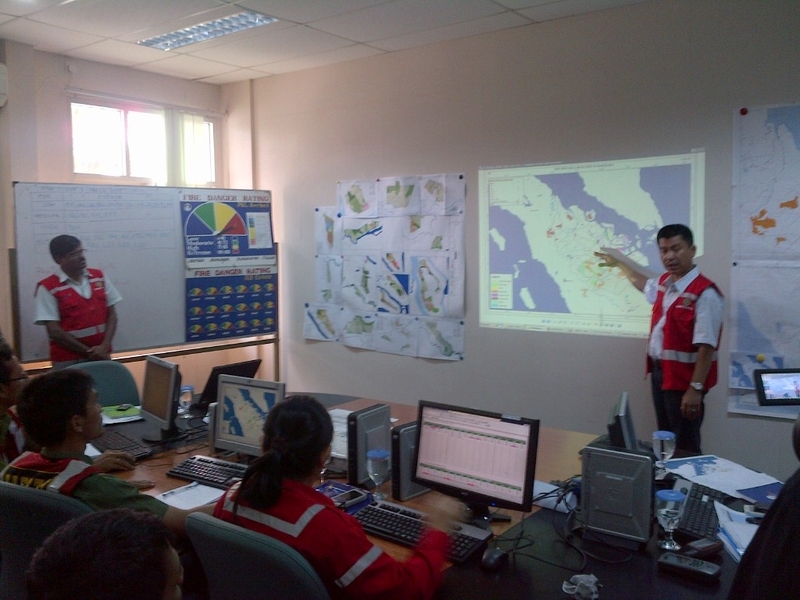 With our dedicated expert fire management team located in Kerinci, Riau, the key is to ensure that these hotspots are immediately responded to and any fires quickly suppressed. We believe that the urgency of responding to the immediate fire and haze situation must not deflect from the equally urgent need to focus on long-term prevention. This, as we know, requires a multi-stakeholder effort and APRIL is willing to support this process as our current initiative with the villages shows. In July this year we officially launched the Fire Free Village Programme – Riau’s first fire prevention plan that seeks to work collaboratively with the community through incentives, support to livelihood, and capacity building. FFVP aims to create fire-free villages through collaboration with the communities, enforcement agencies, and two local NGOs, Rumah Pohon and Blue Green. Committed to zero burning in their agricultural practices, the nine villages are located in fire-prone areas, close to the Kampar River. Under the FFVP, the partners will work with these local villages to: identify and support alternatives to fire as a land management tool; recruit, train and support community fire crew leaders; and continue to raise awareness of the negative environmental, economic and health impact of fire and smoke haze. The programme builds on APRIL’s successful No-Burn Village Rewards scheme, now in its second year, where villages receive community infrastructure rewards on the achievement of agreed no burn targets. APRIL is also investing in Air Quality Monitoring systems to measure progress. In the long term, FFVP seeks to influence change in communities’ behaviour on the use of fire as land preparation method, as well as to encourage swift response at village level to detect and report fire incidents. 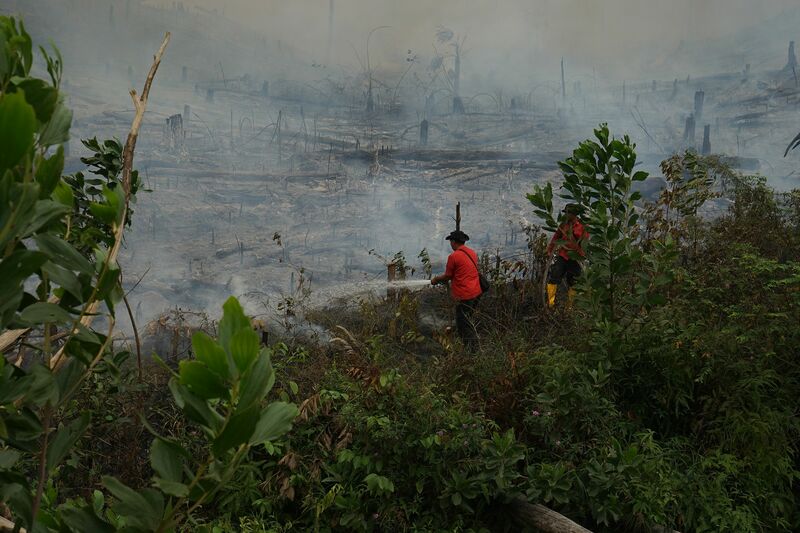 We acknowledge that fire is a landscape problem so we coordinate our fire suppression activities closely with the local police, disaster management agency and Indonesia Ministry of Environment and Forestry’s fire teams. In partnership with the local Pelalawan Police, we are training police officers in basic fire fighting as well as assisting government disaster relief teams operating on the ground through the loaning of equipment, such as water pumps, hoses and fire fighting personnel. 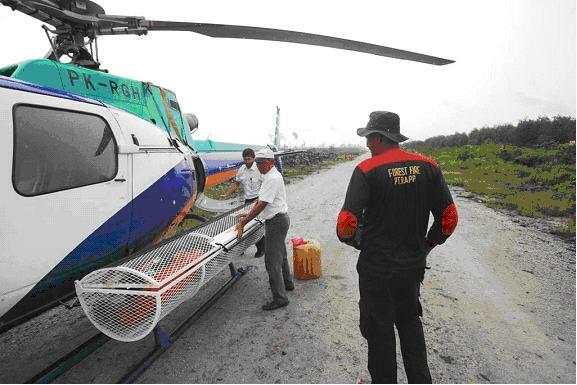 To date, APRIL has invested more than US$6 million in fire suppression resources including 2 helicopters, 2 airboats, 39 lookout towers, 215 water pumps and training efforts for 989 Rapid Response Team members, of which, 380 are full-time fire fighters. We also trained 28 community-based fire prevention and control groups (Masyarakat Peduli Api) of 724 members in five regencies across Riau. Public clinics that will offer free medical services to communities afflicted by haze-induced ailments are being operated by the company initially for a month from 23 September. These clinics will be located in Pekanbaru, Pelalawan, Siak, Kuantan Singingi, and Kampar in Riau province. On the government’s recent announcement of companies who are suspected of violations, we reiterate that none of APRIL’s senior management and staff have been implicated. Should any supplier become the subject of a probe, we would prefer for the investigation to take its due course and the supplier will be instructed to cooperate fully. Along side the government’s process, we will conduct an internal review and will address any confirmed violation of our No-burn policy which is a non-negotiable commitment for us. The issue of fire and haze is an ongoing battle for our company and we still have much work to do. 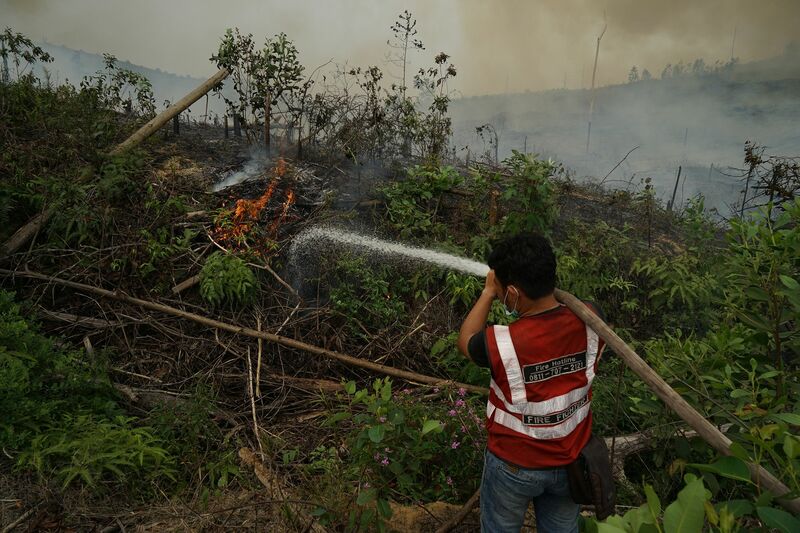 Our fire teams continue to labor to contain fires near our concessions in Riau, all of which are reported to the local police, and also to assist government teams in containing community fires. We recognize that there are multiple stakeholders involved and that the facts and realities on the ground do not necessarily translate to a common understanding of the issue. Through APRIL Dialog and ongoing media engagement, we hope to support the communication on this our common concern. Our aim remains to be part of the solution. Hence, we will strive to improve the effectiveness of our prevention initiative by working with the communities via our Fire Free Village Program. If you have any question or comments or would like to contribute to the discussion on sustainable forestry, please get in touch.